Fine pitch interconnection : min. 15㎛ gap for COF application Minimum connecting area of bump: 1500㎛2. 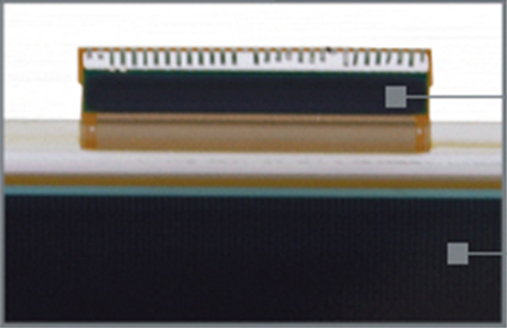 High reliability and stable adhesion property on 2 layer PI film.